Centrally located, just two hours from Germany and one hour from Belgium, Rotterdam is a very diverse and intriguing base from which to explore Holland. 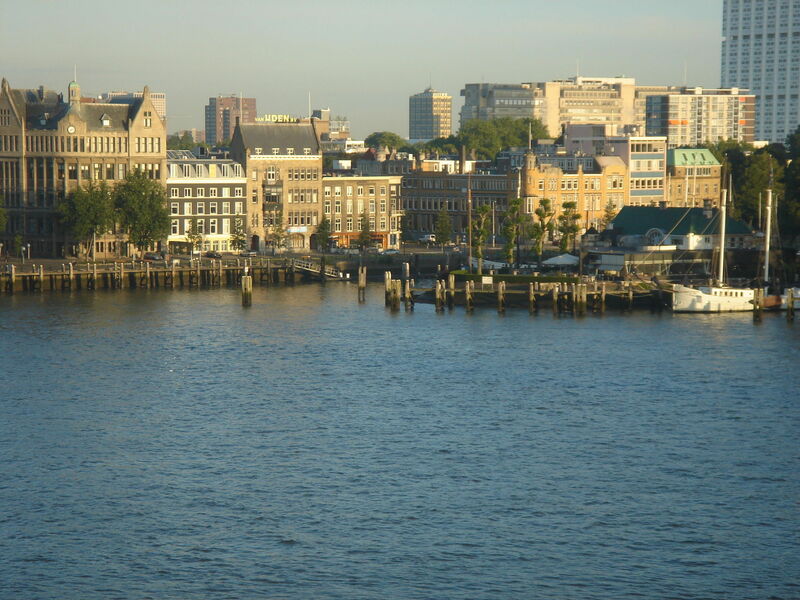 The world’s third busiest port (after Shanghai and Singapore), Holland’s second largest city and a major center of Holland’s economic and cultural life, today’s Rotterdam arose from the massive devastation of WWII. 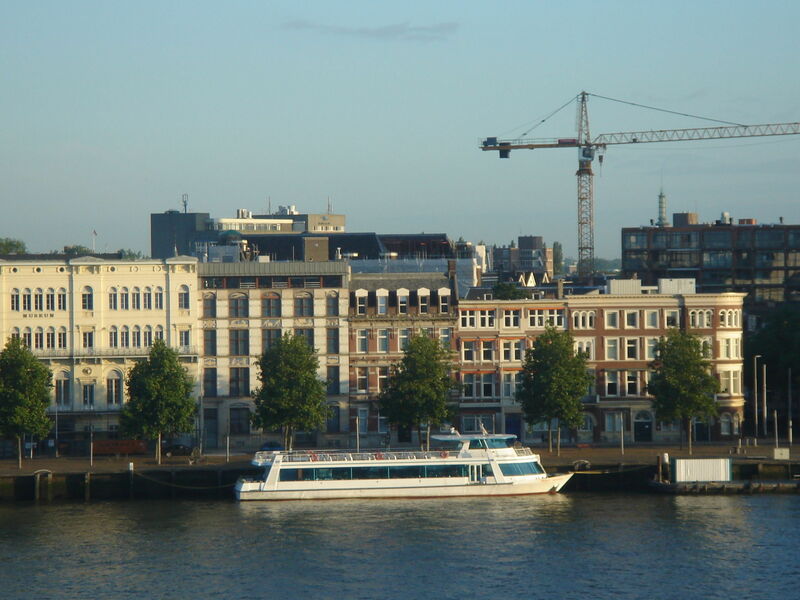 Families will be intrigued to learn how the Nieuwe Maas River affects all aspects of life for the 1.2 million citizens who inhabit the Rijnmond (Rhine Estuary), which extends 40kms past boatyards and storm surge barriers to the North Sea. 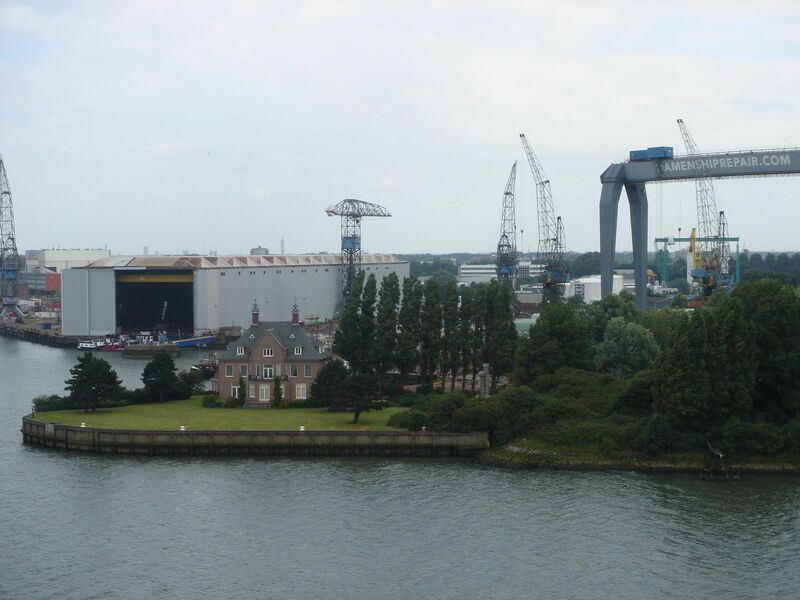 From the far shore of Kop van Zuid, the islet where cruise ships dock, to the city center and arts district, this is a fun city to explore on foot. For more information, contact VVV Rotterdam Info (0900 403 40 65). Celebrating its 150 anniversary, the Diergaarde Zoo is known for its landscaped setting and exotic array of animals. Stop by the North American bison, tour the aquarium, visit Mongolian camels and watch the zoo’s most popular denizen, Bokito the gorilla. The country’s original maritime museum houses more than 500,000 drawings, nautical paintings, ship models and other memorabilia in a fitting tribute to its history of seafaring. There’s also the Haven (Port) Museum as well that features the history of the harborfront, which has become a popular place to live. 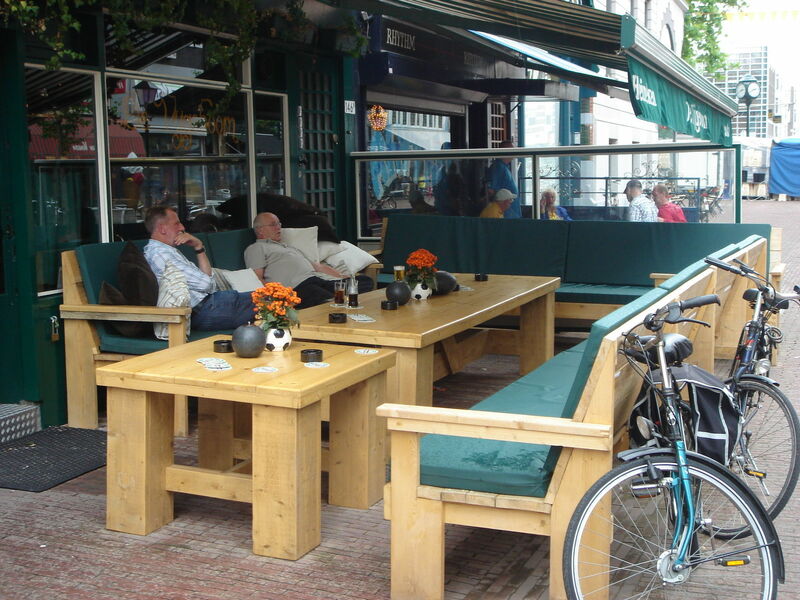 It’s near to the comfortable Tulip Inn Rotterdam. Families will find miniature world of railroads threading through all of Holland — not only Rotterdam — displayed in perfect scale models at this indoor model railway attraction. In addition to the looking, there’s a model building workshop, film about the place, and guided tours behind the scenes to help kids understand what they’re seeing. A very fun indoor waterpark for kids of all ages. It features a large indoor Wave Pool with a slide complex plus lagoons leading to the outdoor pool. Very popular. Site of the original turn-of-the-century Holland America Line offices, this red brick gabled structure with its Jugendstil ornamentation is now a popular restaurant and hotel. Go inside to peruse their unusual shipping souvenirs, try the afternoon tea or some of the restaurant’s fine seafood and pastries, then step into the lobby to admire the historic photographs of the golden age of passenger cruising. Outside is the Monument to Left Luggage, an intriguing climbing structure/sculpture composed of larger-than-life bronze suitcases, purses, sacks of grain, crates of dishware and other personal belongings left behind by decades of emigrants who sailed from this port. The old stock exchange has been made into a fashion center with shops, pedestrian lanes and stylish cafes, such as Staal. Don’t miss the chance to try an order of poffertjes, the small thick pancakes served with sugar and jams. Try Funkie House for women’s fashion, Yendor for comic books and games, Kleine Kapitein for children’s books and toys, or Face 1 Design in Meent for furniture, housewares and Scandinavian design items. Begin your stroll at the corner of Eendrachtsplein and Nieuwe Binnenweg, a pedestrian-only promenade where visitors can window shop in European chain shops and local boutiques, pause at a cafÃ©, browse bookstores, and grab a terrific falafel or Turkish wrap from a food truck. Skateboarders will want to stop in at the uber-hip shop Left off Witte de Withstraat, where there’s a nearby skatepark to try out new gear and sportswear, as well as galleries of contemporary art. The local Hotel Emma, located nearby the city’s center of fun, is surrounded by late night partying in unmarked clubs tucked into the outskirts of residential neighborhoods. Within the Museumpark, The Boijmans Museum (pronounced BOY-manz) has a wonderful collection of 17th century Dutch masters including Rembrandt, and European paintings, drawings and sculpture from Brueghel to Dali. There’s enough variety, including the works of contemporary video artists and designers, to please everyone. The Kunsthal nearby was designed by noted Rotterdam architect Rem Koolhaas, and is as interesting as the collection within its glass walls. Each museum has its own cafÃ©, gardens and wide open spaces where families can roam. Rotterdam’s large and notable National Architectural Institute is housed in an interesting building, but we can recommend the contents mainly for architecture students and buffs, as the exhibits are somewhat technical. In contrast, the museum has preserved the Sonneveld House, an art deco structure designed by the noted Dutch architect, Albertus Sonneveld, which remains a perfect example of spare but elegant industrial design in 1933. The clean nautical-style exterior, manicured garden, and streamlined furnishings within should intrigue kids and adults alike. No artwork on the walls, no knick-knacks on the counters, just tubular legs on furniture, conveniences like buttons to summon staff and turn on lights, dumbwaiters and other innovations from before their grandparents’ time — should be of interest. This unusual architectural achievement is an apartment block of stacked yellow and white cubes which arc over a wide street, giving apartment dwellers a great view of the downtown. Commissioned as a pedestrian bridge over the major traffic artery with the public bridge and shops in the lower spaces and apartments in the upper spaces, this striking and fascinating cubic structure has an exterior that is built on a dramatic tilt, so that it seems that everyone inside would have to use hands and feet to stay upright, but clever design means they don’t. The structure and furnishings were designed by Dutch architect Piet Blom, who was inspired by Venice’s Ponte Vecchio. One of the units is open for public tours daily from 11am to 5pm. 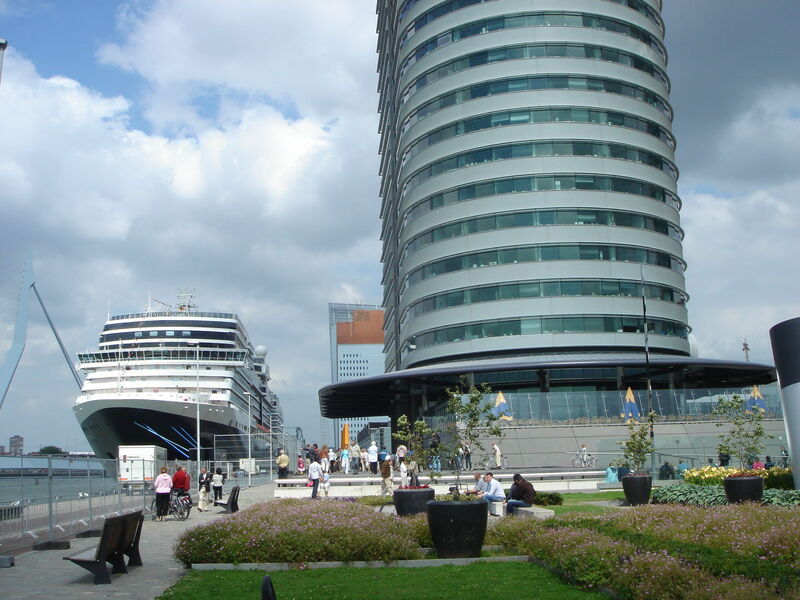 Rotterdam is all about the water, and Spido has been taking tourists around the main port and quiet canals for years. Guided 75-minute basic tours offer taped narration in Dutch, English, French and German, and children are given a coloring book or sent to the on-board Playstation when they get too restless! Check their website for schedule and fare information as these vary according to season. Close to the museum quarter, Veerhaven is the old yacht harbor where a few original brick homes and manor houses have survived; Park Heuvel, one of the city’s traditional dress-up restaurants, is tucked into a quiet corner here. Delfshaven is another preserved district, with its own canal and windmill. There are many antique shops (some open on Sunday), outdoor cafes and small wine and tapas bars for evening. The truly iconic Dutch image is the windmill, the wind-driven pumps that protected the Netherlands inside their dikes for centuries. Their functions are now provided by modern pumps, but within a 40 minutes cruise of downtown Rotterdam lies the tranquil “world” of the town of Kinderdijk, where there remains a collection 19 authentic 18th century Dutch windmills. Along with these beautiful giants, the life of yesteryear is recreated. Families can take a half-hour guided boat tour along the canals, tour the interior of a windmill, and snack at the cafÃ© in an old pump house. 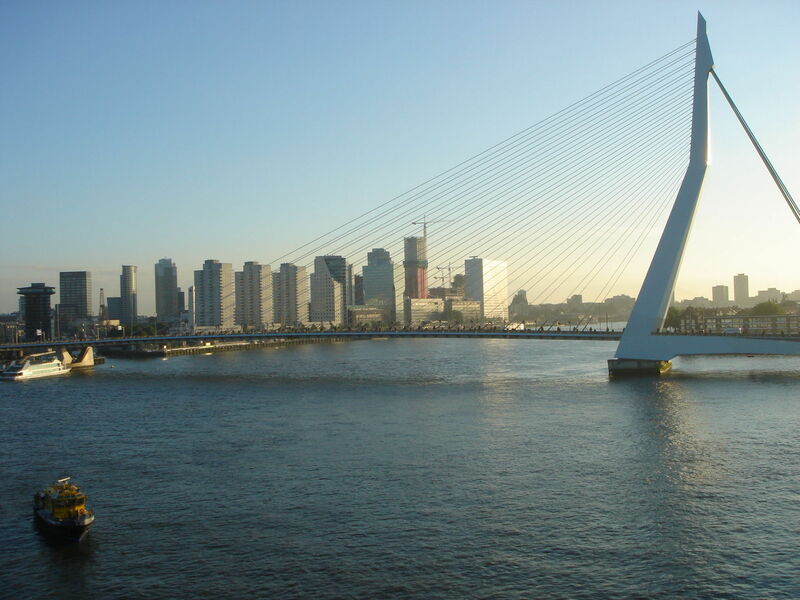 Transportation to and from the Erasmus Bridge is provided by Rotterdam’s Waterbus ferries. Two departures daily; check website for pricing and schedule.